The turnpike work is good for some in Luther. The lunch spots get a rush from the crews and Steve’s Hardware is getting some business. 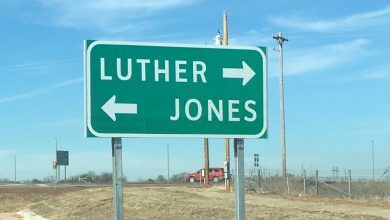 The crews working to build the Eastern Oklahoma County Corridor south of town are marching south from where it connects at the Turner Turnpike between 178th and 164th Streets, criss-crossing Luther Road to Peebly Road as it moves south to I-40. There’s no missing the work and the construction speed zone south of town (strictly enforced). Have you seen the view on Memorial Road between Luther and Peebly Roads? The EOC viewed from Memorial Road, looking south, between Luther and Peebly. 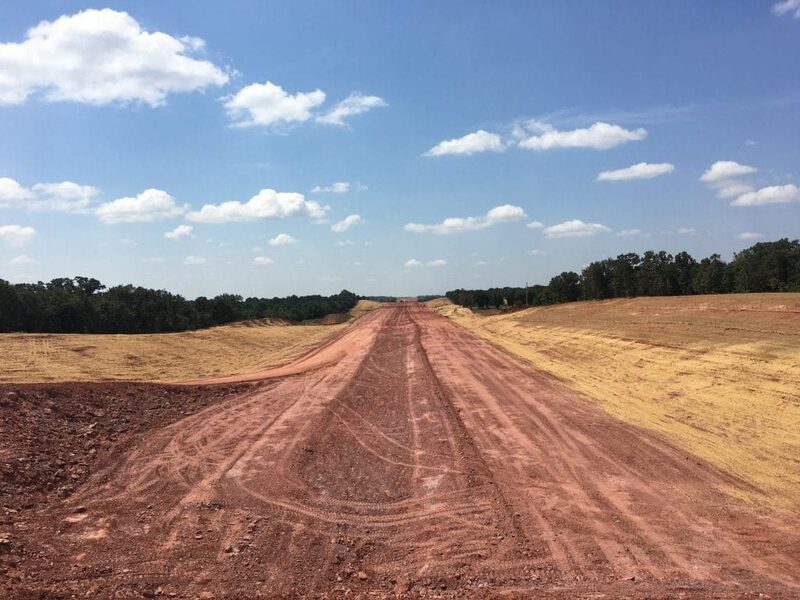 As for the interchange from EOC and the Turnper Turnpike, OTA listed it as 22% compete in June having spent almost $4 million of the total $17.6 million project cost to connect the the old turnpike to the new one. There is no way to get off the turnpike there, motorists wishing to exit will use the Luther exit on the Turner, getting off at Hogback Road. 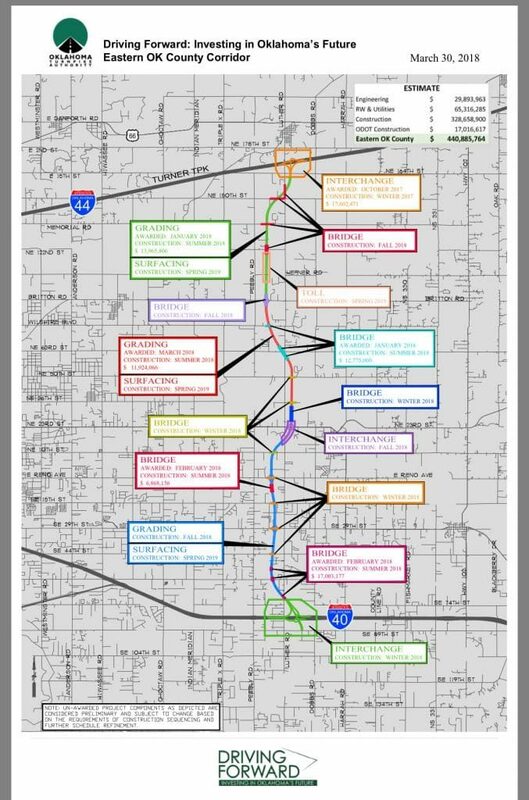 OTA officials say the route is unchanged from the map published at the Driving Forward website. 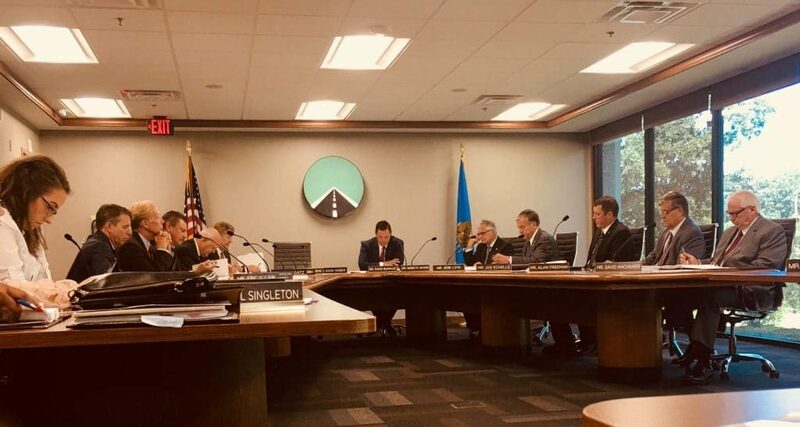 The OTA approved several projects at its July meeting including bridgework, for NE 10th, NE 36th Street and NE 50th for $9.5 million awarded to Haskell Lemon. Frontier Bridge won a $10.6 million award for four more bridges at SE 44, SE 29, SE 15 and Reno. Poe & Associates was awarded a contract modificaiton for managing the Driving Forward project for a total of almost $28 million. Of the $37 million of checks written by OTA for the month of June, there were several expenditures related to Driving Forward including about $17,000 in legal fees for the ongoing eminant domain lawsuits over property in the path of the road. There was one $980,000 payout for a parcel of land. And other payouts for amounts ranging from $55,000 to $300,000, according to the June ledger. OTA properties are tax exempt and buyouts are undisclosed on county records. 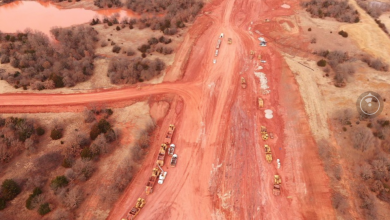 Earlier in July, the Luther Register reported that OTA surplused several parcels of land in Eastern Oklahoma County that were purchased but not needed. At the July meeting, the Authority approved a resolution to ask for more financing of the turnpike projects through another bond sale. An amount and date was not disclosed. Bond sales and turnpike fee increases are paying for the total $400 million “Driving Forward” program. Turnpike users began paying more to take the toll roads in January, the second of three planned toll increases. However, as of June, toll revenues only showed a slight increase, up 0.7% from June 2017. Operating revenue on all toll roads was $27,519,767 this June compared to a year ago when the grand total was $27,339,527. 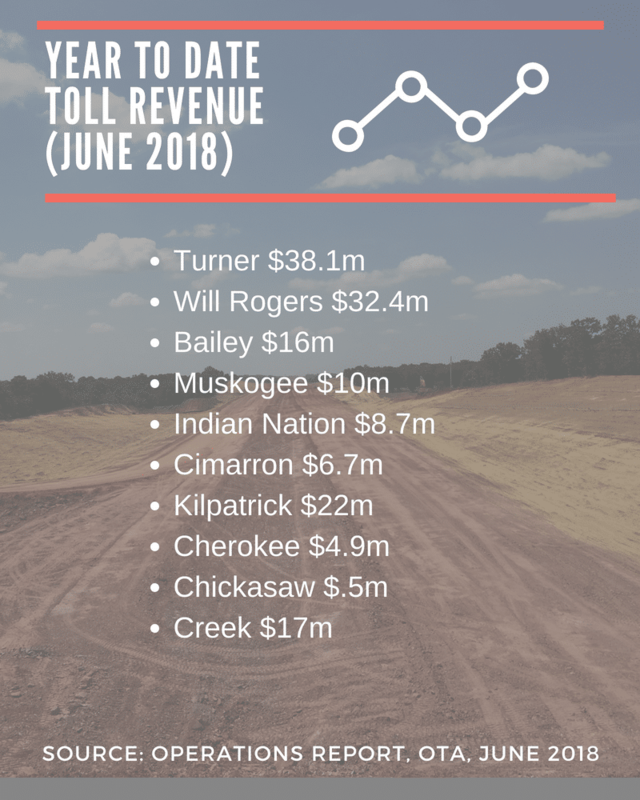 Consistently, The Turner Turnike rakes in the most tolls each month ($6.6 million in June) while the Chickasaw earns the least amount at $86,000.